Tonight is the night! All sets will be available for purchase on Tuesday, February 1st at www.wplus9.com. As always, before they go on sale, I need to formally introduce them all to you during the Full Reveal. The first in it's series, Flora & Fauna I is inspired by the state symbols of Virginia and North Carolina. Also a first in it's collection, Spring Post features three sizes of postage stamps and is packed with sentiments. All of the icon images in All Occasion Tags are also scaled perfectly to fit inside the empty postage stamp image. 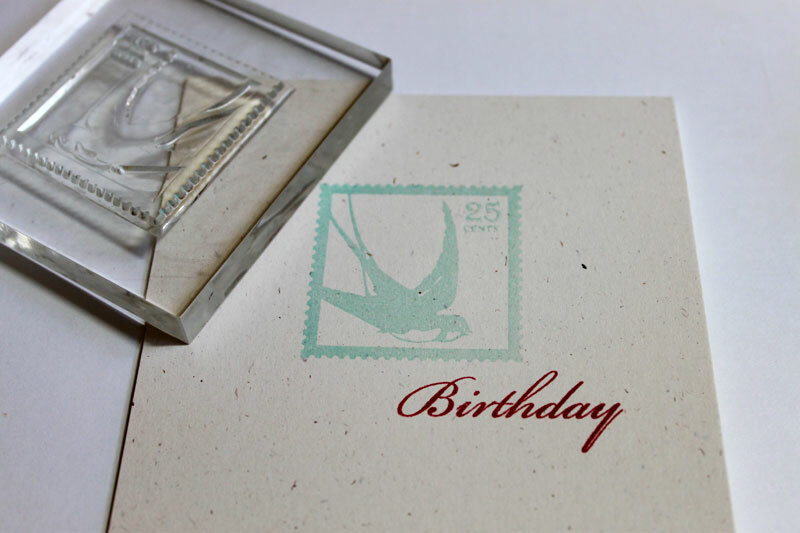 Perfect for creating that faux postage look, personalizing birthday and holiday cards with dates, or even dating your scrapbook pages. Want one last chance to win the entire release? I will be selecting 1 comment from all comments left during the release, that's 4 chances to enter! You have until 9:00 EST tonight (Jan. 31) to leave your comments. I will post the winner here by 9:30 pm EST. Thanks so much for joining us again, and I'll be back tomorrow for Group Post Day! You ready? For this first one, I wanted to create a feeling of early Spring. You know, when the chill is in the air, but the birds are returning and you can just feel the warmth creeping in around the edges? Seriously in love with this set! 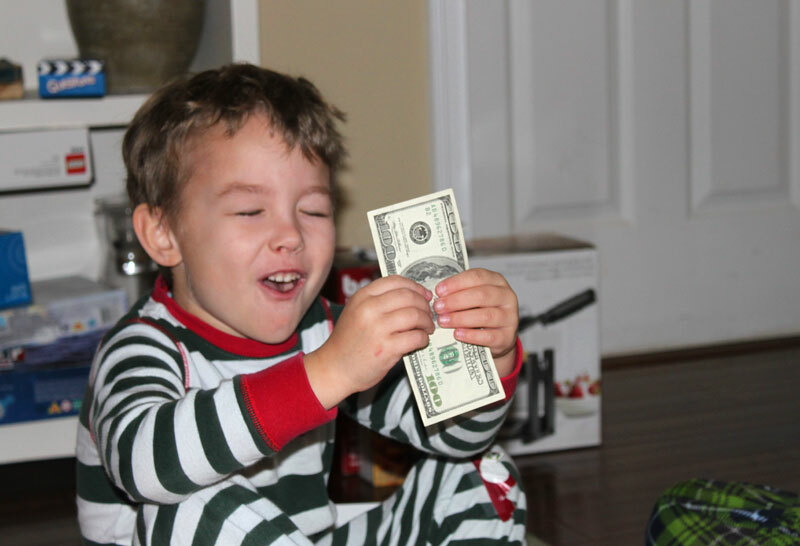 There are really a ton of image building possibilities. 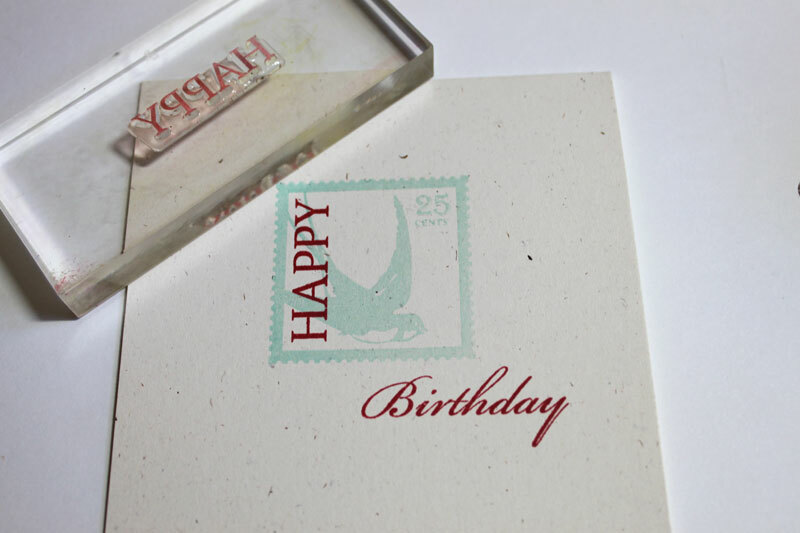 I started by stamping the largest postage stamp image in Aqua Mist (Papertrey Ink) and adding the "birthday" sentiment underneath it in red. The contrast of color here is striking in person. Using one of the "HAPPY" sentiments in the set, I stamped it over the postage stamp also in red (Stampin' Up!). 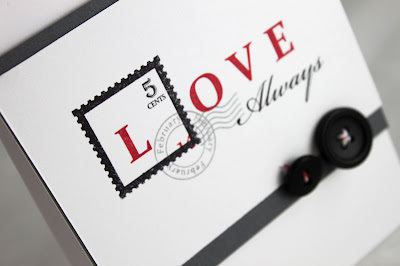 You'll find that many of the sentiments in the set also fit into at lest one of the postage stamps. 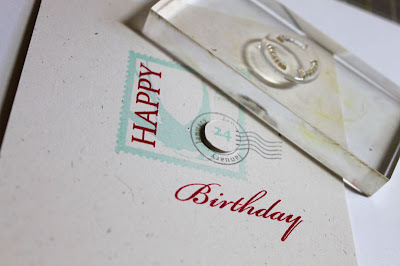 Now here's my favorite part...I used the postmarked stamp from Postmarked and stamped it over the right edge of the postage stamp using gray. 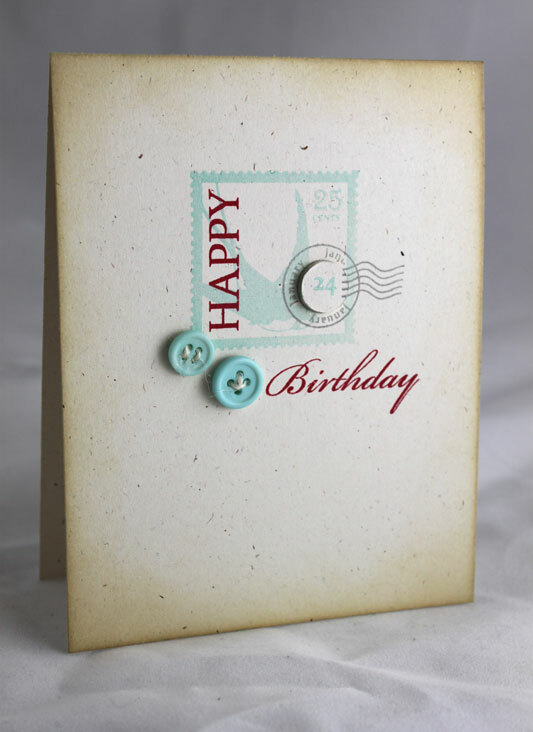 I decided to create this card in honor of my grandma and so I chose her birth date to personalize it. 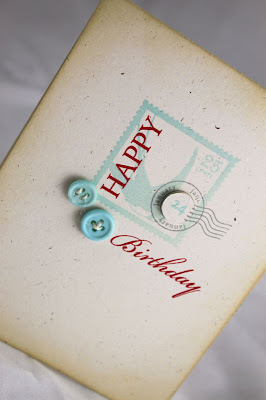 I stamped the January circle and then added 24 for her birthday. I stamped the postmarked image and date again and trimmed out the inner circle so I could add some dimension for the date. Two little buttons and some heavy inking around the edges with Antique Linen Distress Ink (Ranger) finish this off. I think this card took me 10 minutes to complete and that includes stopping to photograph along the way. The images I chose for the postage stamps in Spring Post are symbolic of Spring to me and the set contains quite a bit of sentiments. 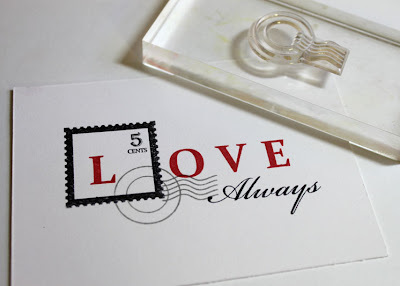 You will find a few for general purposes, some combinations for Spring and Easter, and some for expressing your love. I look forward to creating sets for each of the seasons! Since Valentine's day is literally right around the corner, I wanted to show you a perfect masculine design, not one heart to be found anywhere. GASP! What do you think? Fun and classic...no? And thanks to these two sets, super easy! Let me break it down. I started by stamping the empty postage stamp image (Yes! there is and empty one) and adding the individual "O", "V", and "E" letters to the right. 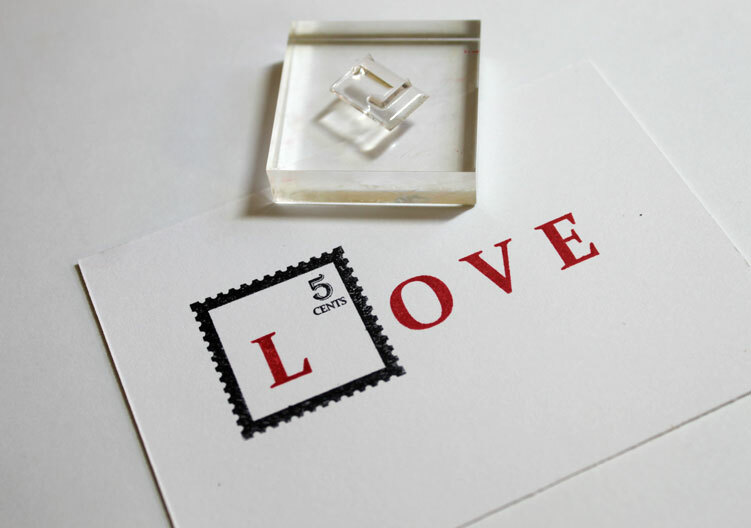 Then I added the "L" inside of the postage stamp. To finish the sentiment, I added "Always" underneath, leaving room on the left for the postmark image. All that was left was to personalize it. I added the "February" ring and the date...done. Thanks to "Postmarked", any date could be used to fit any any occasion you might need. We still have one more day of sneak peeks to show you before they go on sale, and I have a full reveal for you tomorrow. Which set from the release are you most excited about so far? Leave me a comment, letting me know by 11:59 pm Sunday, January 30th . I'll pick one random winner from the comments to receive Spring Post & Postmarked. Winners will be posted here, be sure to check to see if you've won. Thanks for joining us and hope to see you tomorrow! Welcome back to day 2 of the Wplus9 February Release. We are back for another sneak peek at Flora & Fauna I. If you are just joining us, be sure to check out the details here. I am overwhelmed with the response to this series! Thank you all so much, and keep 'em coming! Today I want to give you a closer look at the large Dogwood stem and the Swallowtail Butterflies included in the set. For my fist card, it's all about the butterflies, in a trendy color combo of yellow, gray, and white. I honestly don't know what I was going for here when I started, but I like the way it ended. 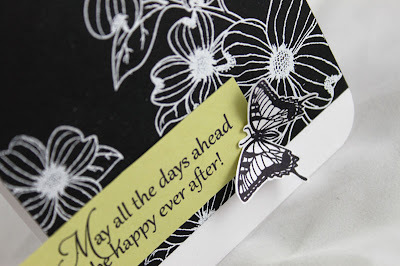 For the base, I stamped the smaller open butterfly image in Versamark onto a gray card base. I started in the lower right corner and progressed up to the top left. For the focal image, I stamped the same image but in a larger scale using So Saffron ink (Stampin' Up!). I added my sentiment (you'll see more of that tomorrow) beneath the image. I then matted it with some matching cardstock, allowing it to peek out from beneath at the top and bottom. 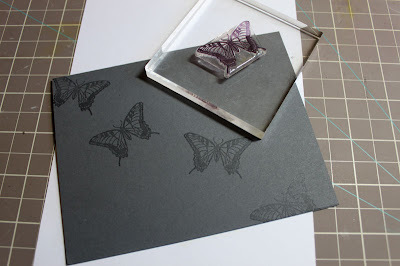 For some added interest I trimmed out a strip of patterned paper from The Thrift Shop collection (October Afternoon) and a scalloped strip of gray. I stitched these together with two sloppy rows of straight stitches. After adhering them to the card base, I wrapped it with twine and adhered the focal panel. The two little buttons were the finishing touch. 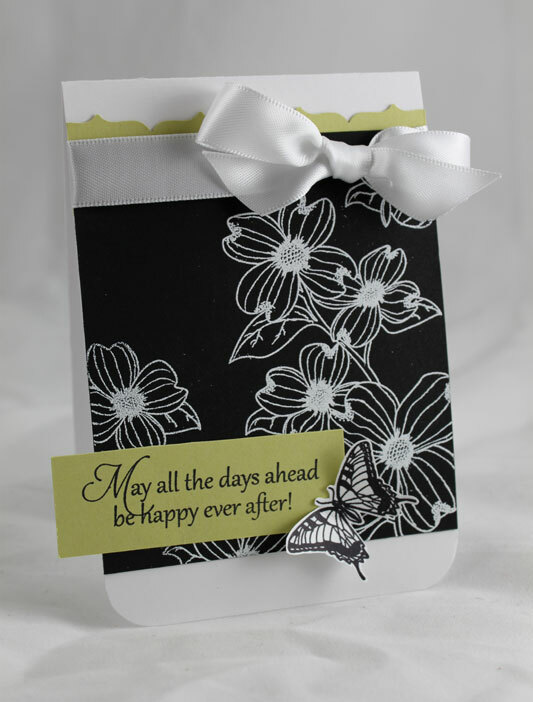 I love the sophistication of the gray scallop punched strip over the matching gray cardstock. Next up, I wanted a super easy, bold, clean design. I decided to use all neutrals - tan, black, and a touch of silver. I paired these colors with the large Dogwood stem...and it was a match made in design heaven! I seriously had a hard time deciding whether to post this or submit it. But I just had to share it! I stamped the large stems once from the bottom up on the left side. 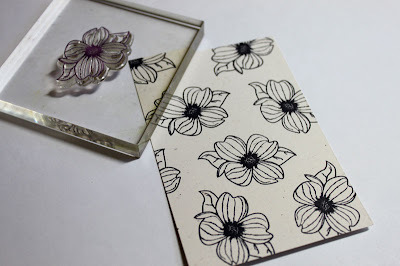 I then turned the stamp about 45 degrees and stamped just the top blooms in the corner. 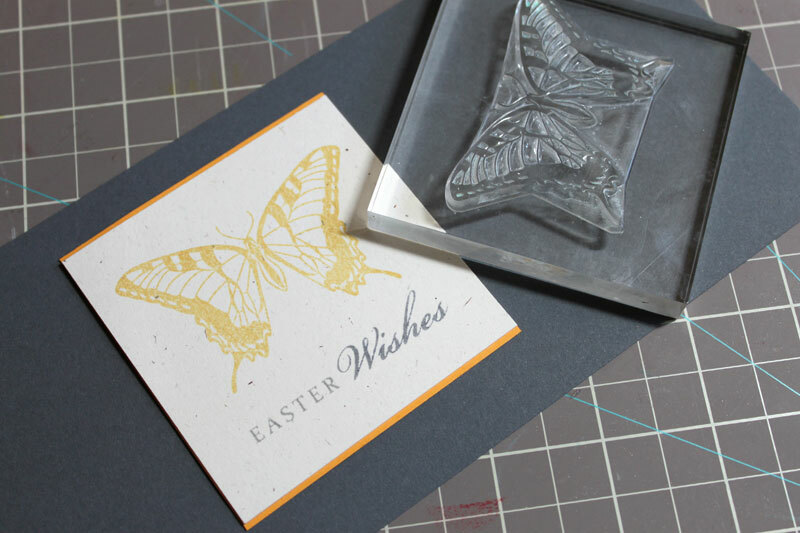 I cut the top panel about an inch or so narrower than the card base and distressed the right edge before adhering it to the card base. 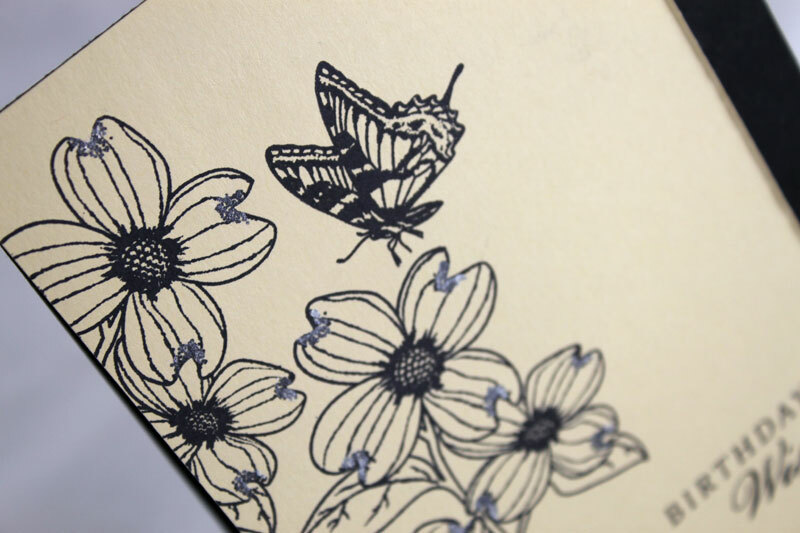 I finished it off by adding the small side view image of the Swallowtail butterfly and some Perfect Pearls (Ranger) to the edges of the flowers. Don't forget, leave me a comment by 11:59 pm Saturday, January 29th letting me know which birds/flowers/butterflies you'd like to see grouped together. 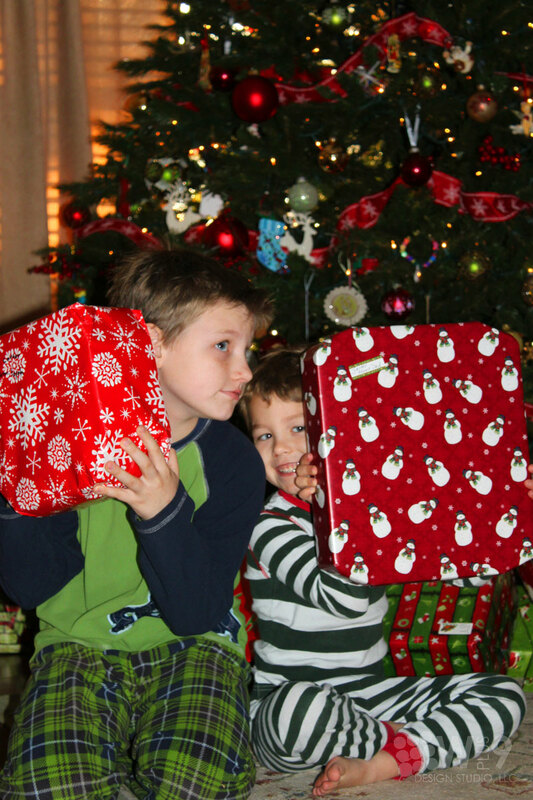 Or anything you'd like, you can leave a comment each day. I'll pick one random winner all comments to receive Flora & Fauna I. Winners will be posted here, be sure to check to see if you've won. Thanks for joining us and be sure to stop by tomorrow to see two new sets also being released on February 1st! Welcome to Day 1 of the Wplus9 February 2011 Release! For those of you joining us for the first time, we will spend the next couple of days giving you some peeks at projects using the stamps from this month's release. All sets will be available for purchase at www.wplus9.com on February 1st. Wow, do we have a fantastic release scheduled this month! This month marks Wplus9 Design Studio's 1 year anniversary. One year ago this month, I embarked on this fantastic venture...and I've loved every minute of it! Thank you all so much for making this one of the most fulfilling years ever for me. Seriously. From the bottom of my heart. 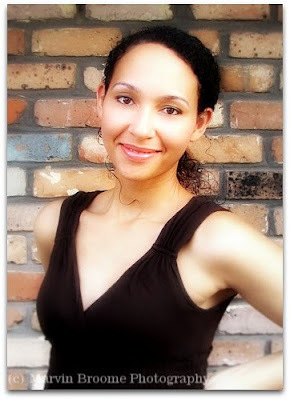 Joining us this month to help us celebrate, we have the crazy talented Sarah Martina Parker. She will be here all month long to help us do it up right! As if that were not exciting enough, I have also invited Mrs. Jinny Newlin to remain on the Wplus9 Design Team permanently! Or at least until she can't stand it anymore. ;o) Don't worry, I will still be selecting Guest Designers periodically for month intervals. Ok, now I believe we can get on with this celebration. Ready? Up first, we are previewing one of my new personal favorites. Oh my, you will surely fall in love with this set. This not-so-little ditty is the first in a series that I am working on. I have drawn my inspiration for the series from the states' symbols. State birds, flowers, and butterflies to be exact. Flora & Fauna I was inspired by Virginia and North Carolina. This one is so gorgeous, we've decided we need two days to properly introduce it. 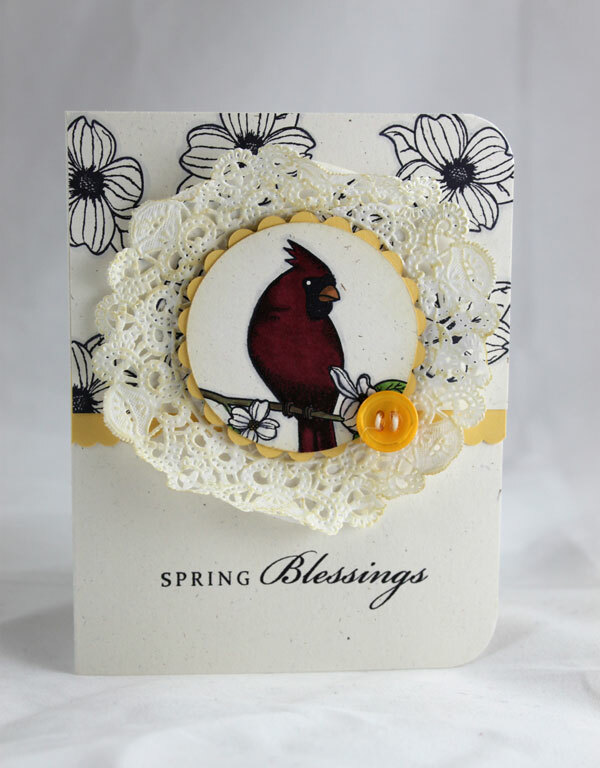 Today, I want to focus on the gorgeous Cardinal and single Dogwood Bloom included in the set. I am in love with the way this turned out. The illustrations in this set really are some of my best ever. 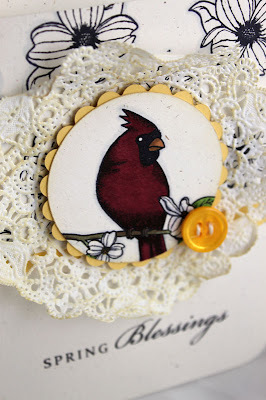 To begin, I used a circle cutter (Martha Stewart Crafts) to cut a 2 1/4 inch circle and stamped the cardinal using black ink. What I really like about this image is that the shading is built in. 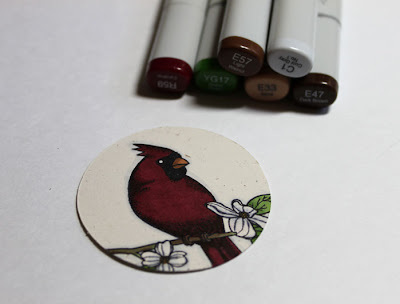 Because of this, I only had to use one shade of red for the entire bird. Score! 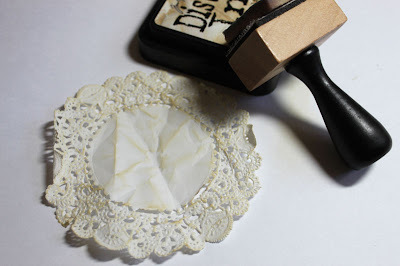 I matted my focal point on a yellow scalloped circle, and matted that on a white doily that I distressed by crumpling it up and then inking it with some distress ink (Ranger). To create the background patterned paper, I used the single Dogwood bloom also included in the set. I had no idea when I added this one single image how much I would come to love it. That paper is so stunning and sophisticated. 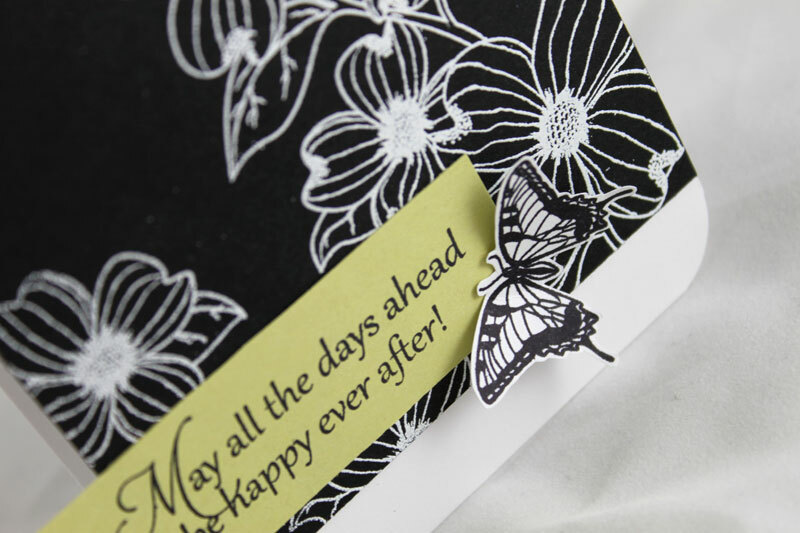 And that's just stamped in black on white cardstock. Just IMAGINE the possibilities there! I just assembled everything and added my sentiment (more on that Sunday!). This next one literally made me squeal when I finished it. I've used the large Dogwood blooms and one of the smaller butterflies for this one. 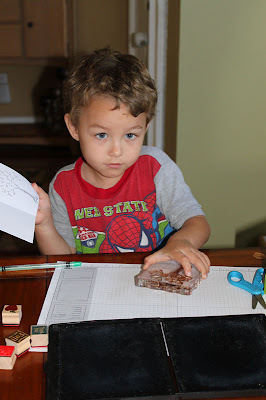 Again, we are talking pure and simple stamping. A little Versamark and some white embossing powder and a big beautiful stamp. 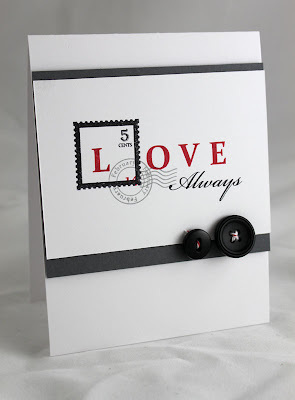 For me, it all starts with the stamp when I craft, and this set does not disappoint. I paired it with a sentiment from Ever After. I think it's a gorgeous wedding card that could easily be recreated in the bride's colors. So are you ready to see more? The girls have some gorgeous creations to share with you. That's it from me for today, I can wait to share more with you tomorrow. What do you think of the overall concept of this Series so far? Something that you could see wanting to see more of? Leave me a comment by 11:59 pm Saturday, January 29th letting me know which birds/flowers/butterflies you'd like to see grouped together? I'll pick one random winner from the comments to receive Flora & Fauna I. Winners will be posted here, be sure to check to see if you've won. Thanks for joining us and hope to see you tomorrow! Happy Friday! 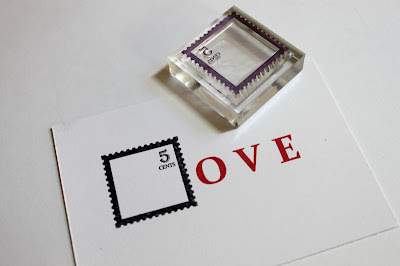 It's time for another edition of All Eyes On, and this month, I asked the fabulous design to focus on envelopes. You know, those plain boring envelopes. 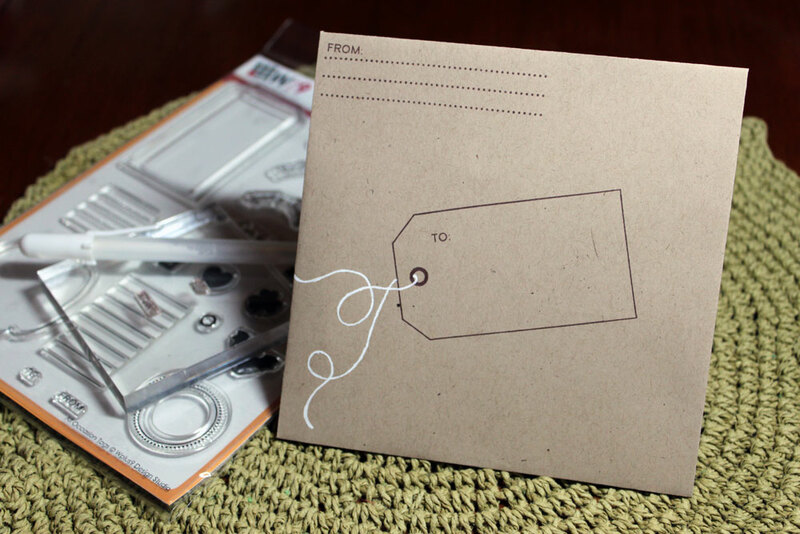 After spending all of that time creating the perfect card it just seems blasphemous to hide it in a plain envelope! So, whether you are mailing your card or hand delivering, I asked the ladies to show us some envelopes worthy of housing our little works of art. I decided to focus on sprucing up envelopes for mailing, which means no embellishments or layers. 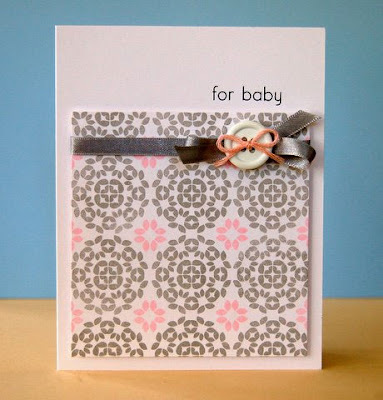 Oh yeah...my kinda crafting; one layer stamping! 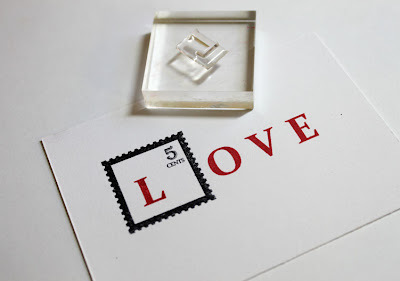 There are tons of ways to add that little something extra to your envelopes, whether you play with framing the address areas, or adding a watermarked image. 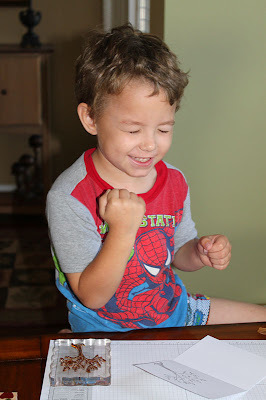 I have two fun examples to share with you using All Occasion Tags and From The Kitchen Of. Isn't that too cute? I stamped the journaling lines from "From The Kitchen" of in the upper left hand corner along with the "From:" stamp from "All Occasion Tags" for the return address. For the address I used the tag, eyelet, and the "To:" stamps. To create the string I first lightly sketched the lines and then went over them with a white gel pen. Once it was dry I erased any left over pencil lines. Now this one is so versatile. 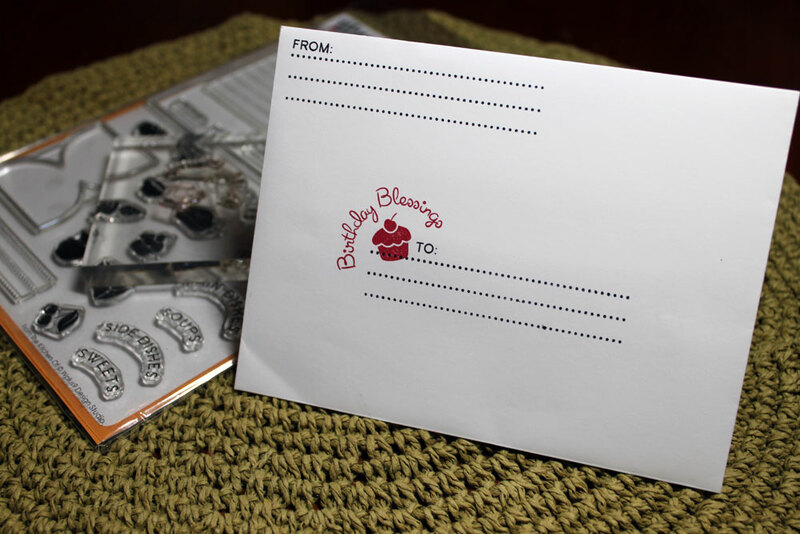 There are a ton of holiday themed images and phrases in "All Occasion Tags" that make mass producing this layout for all of your holiday cards a breeze! All I had to do was add the journaling lines from "From The Kitchen Of" for my recipient and return address and I'm done. 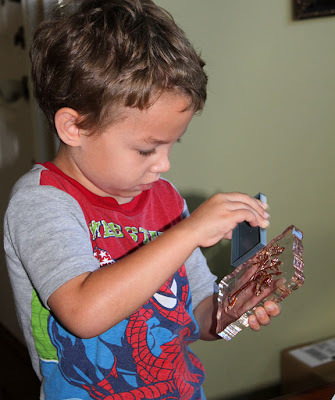 So easy and worth adding that final touch. I would love to see your ideas as well. If we've inspired you or sparked your creativity, be sure to link up your projects in the comments. Thanks for stopping by and happy Friday! 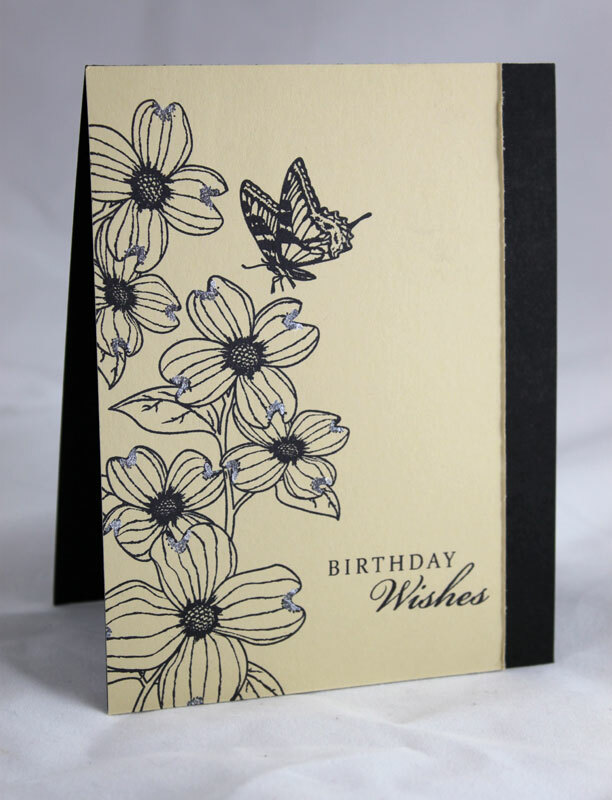 Again and again I was drawn back to this clean and simple card with the stunning intricate pattern. 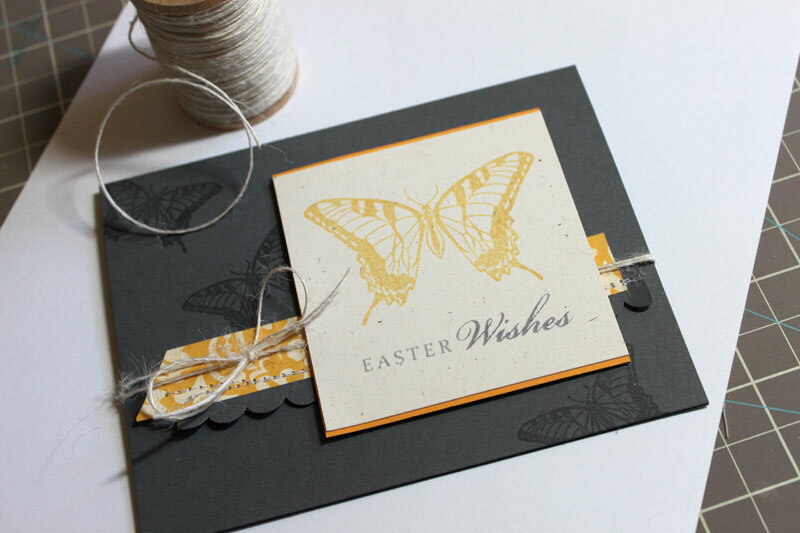 I just love the way Cristina paired the busy pattern with the minimalist design. Be sure to check out all of the entries if you haven't already. The Color Cue is always packed with tons of talent and inspiration! Ready for a little inspiration? 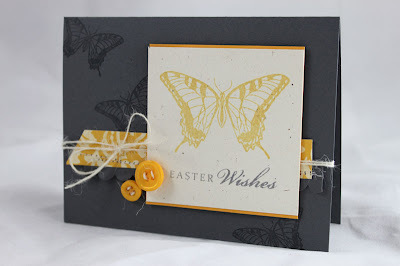 For this month's colors, I used Soft Suede (Stampin' Up!) 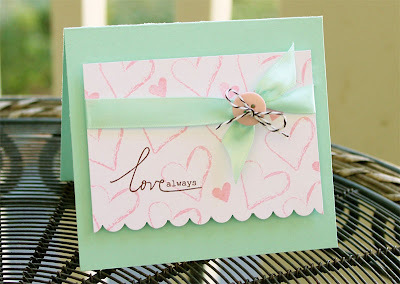 as my netral, Aqua Mist, Sweet Blush, and White (Papertrey Ink). I paired this sweet combo with our Background Builders: Hearts and Love Birds stamp sets. And of course, the Design Team has some inspiration for you as well! It looks like Elise and I were on the same wavelength here. She also used Wplus9's Background Builders: Hearts and Love Birds. 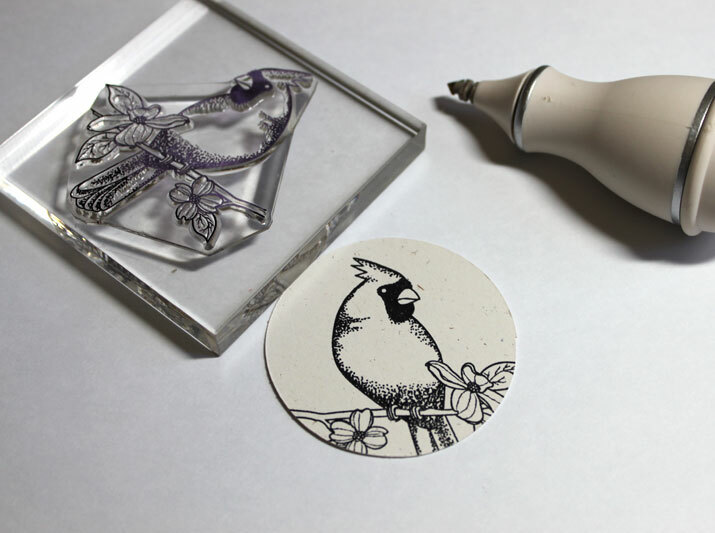 Love the stamping she did on the acetate with paint. The subtle distressing of the paint is fabulous. I am loving the soft shabby chic look Jinny has created here. I love how she complimented her felt heart by using Design Basics: Backgrounds I for the back panel. What do I love about this card? Everything! 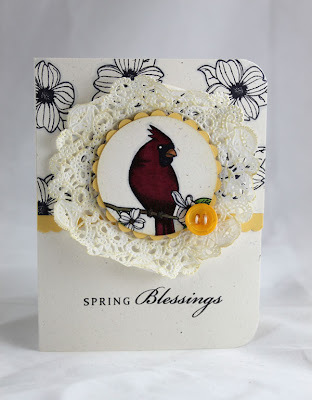 Kerrianne shows us how you don't need much to create a fabulous card. I love how she has used the sentiment set Sweet Nothings to create a full card. She cleverly created the patterned paper using the accent hearts in the set. 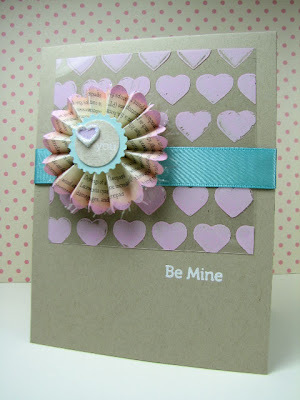 Create a card, scrapbook page, digital layout, tag, whatever...just make sure to use the colors noted in the graphic. You have until February 7th at 10:59 pm EST to play along. You will know the deadline has passed when the link to add your project is no longer available. Each Design Team member will be picking their personal favorites from the entries to feature here on the blog. Saturday morning...stamping...with my little man. It just doesn't get any better than this. Ah yes, those precious moments. Can you believe it's almost Valentine's Day?! I have a dreadful feeling that this year is going to go even faster than last year. OK, I realize it's only January 11th...but it seems like the older you get, the faster time flies. Maybe it's because as we get older we start to realize how many goals we have and how little time we have to achieve them. Especially once all of the normal everyday responsibilities start mounting. That being said. I've set one selfish goal this year. One hour. One hour a day to start chipping away at some of those lofty life goals. We'll see how long that lasts. We happen to have a lot of occasions in February; Valentine's Day, 2 Anniversaries, our Anniversary, and 3 birthdays. I figured I better get started earlier this year if I actually want to keep my goal of sending out more cards. For this one, I decided to dig into my stash for a card that had never been posted to share. 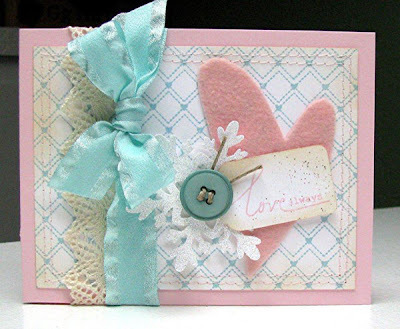 For this card, I used Background Builders: Hearts and The Birds & The Bees. 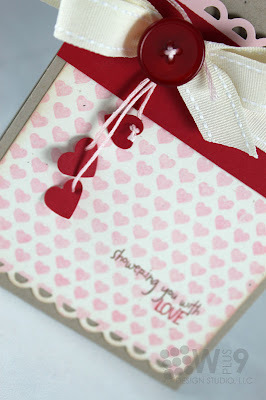 I stamped and panel with the hearts in pink and added my sentiment in brown and red. For that little something "extra", I punched a few hearts from red cardstock, punched holes in the corner and hung them from the ribbon using DMC floss. Super simple, yet sweet. 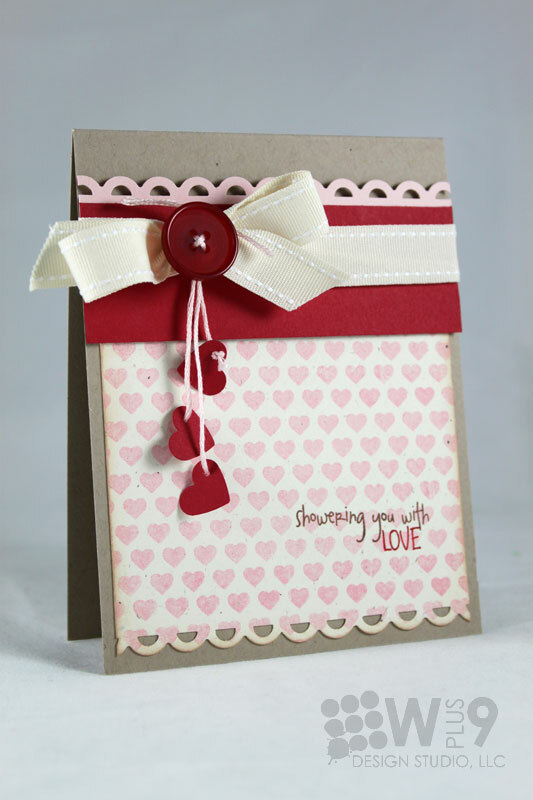 Thanks for stopping by and I hope you are getting a head start on those Valentine's. We had a fantastic Holiday. 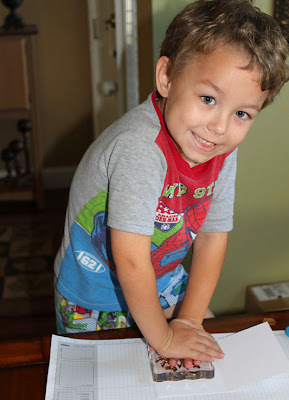 Lots of family time, movie watching, baking, crafting, and fun. I thought I would fill you in on just a bit of what's been going on around here. Meet Ginger and Max. 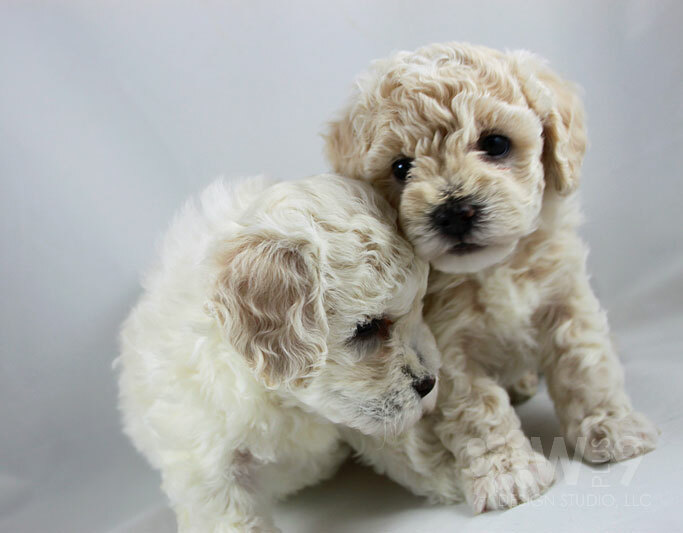 Some of you already know that our little princess Izzy, had puppies. It was both exciting and scary. 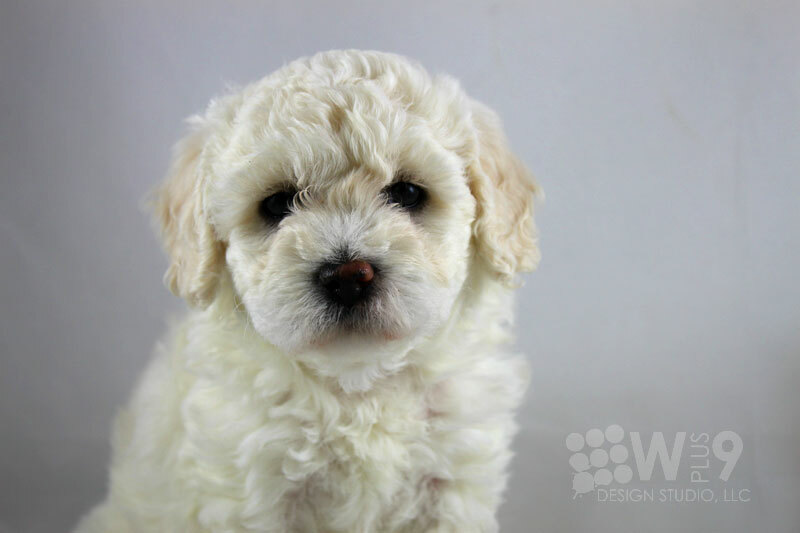 Izzy is a toy poodle and just the sweetest thing ever. About a month before delivery, she got extremely sick and we almost lost her. She spent the night at the emergency vet and another 2 1/2 days at the regular vet on IVs and meds. We weren't sure if the puppies were going to make it or not, we were just happy to know that she was going to be OK.
To our suprise, 2 of the 3 puppies survived, and we kept the girl, which the boys named Ginger (I was rooting for Sookie). My mother kept the boy and named him Max. Ginger is turning out to be such a wonderful pup. I mean, come on, how can you possibly stay mad at a cute face like that?! For Thanksgiving we drove a couple of hours south to Sarasota where Jason's uncle graciously hosted a fantastic and delicious dinner. The boy's favorite part???? Swimming, of course! 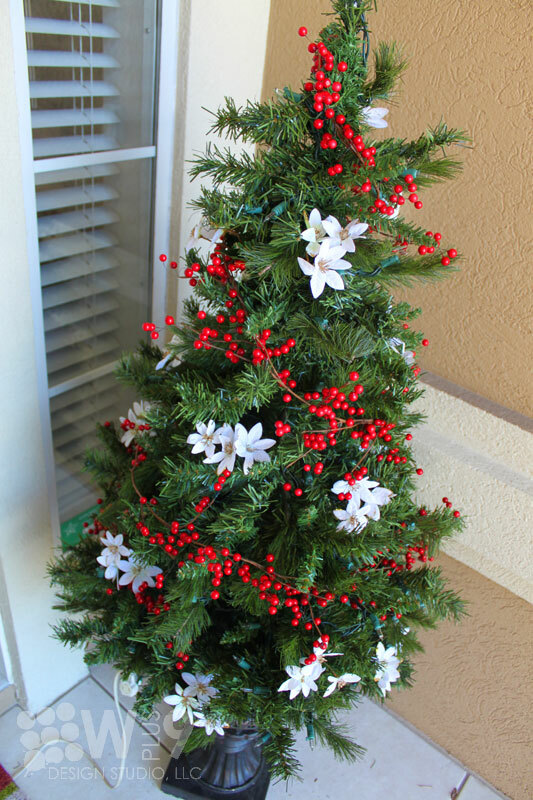 When we got back it was time to put up the Christmas decorations. Jason LOVES to decorate the house. 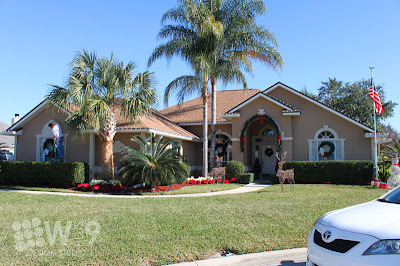 He goes all out with lights, wreaths, spotlights, decorations, he even plants poinsettias. Here he is hanging the wreaths (you can see him over on the left side on the ladder...if you look hard). It's such a beautiful display at night. I cant believe I forgot to get a picture this year at night. Naughty, naughty. A quick shot of the trees that flank the front door. Christmas morning the boys were amazing. They woke up early of course, but managed to entertain themselves with their stockings and gave us a little longer to sleep. Here they are "patiently" waiting to get started. I hope you all had a wonderful holiday season and look forward to kicking this year off with a bang. I know we are excited here, and are ready to get this going full swing at Wplus9. We have some gorgeous new stamps sets lined up, more from Hannah and Kerrianne, as well as a new line of products! All regularly scheduled activities resume this month. Thanks for sticking by me, and I can't wait to see what this year brings!